Do you give your ex a Father’s Day gift? The first few years after our divorce, I attempted to ignore Father’s Day as I dropped off the kids to spend the day with their dad. But as time has healed the pain of our failed marriage, I found myself wanting to acknowledge his continuing role in my life: the co-parent of our children. I’ve decided to let go of things that disappoint me and celebra te what he means to the kids. They adore him and I believe that showing my appreciation boosts his confidence and shows our kids that they don’t have to fear they are “taking sides” by wholeheartedly and unreservedly loving their dad. I am grateful that we are the kind of divorced parents who can peaceably go to parent-teacher night together, who can sit side by side at sports events, and who can talk without getting into the blame game. Last year, I went through old pictures and made my ex a little photo album of our kids. He had very few baby photos because I seem to be the keeper of family history, so I knew it would be something he’d like. I felt I had reached a new place of acceptance that I could look at those photos without feeling angry, sad, wistful, or any other negative emotion. Instead, they reminded me that we had two beautiful babies who will always tie us together. We aren’t married anymore, but we will always be linked through our children, and maybe someday our grandchildren. Now I can wish him Happy Father’s Day and mean it, and I can look for ways to let him know all year that I value his role in our children’s lives. If you like reading about families, parenting, divorce and tough decisions, please check out my novel Giving Myself Away, available now. Well, I hate it. I’ve always thought of myself as somewhat introverted. I got teased mercilessly as a kid for being quiet. But for the past seven years, I’ve worked in a career where I am with people from when I wake up until when I go to bed, and the abrupt shock of transitioning from that to a deadly quiet house is painful. I used to think I was going to be a stay-at-home mom, but life circumstances proved me wrong. I’m not sure how I would have handled it, and now I can’t imagine not having my job, even though it means housework, cooking, shopping, and all of the other things that stay-at-home parents can do during the day are lumped on top of what I already do and have to be squeezed in on evenings and weekends. Every morning during the school year is an organized blur as the kids and I have breakfast, make our lunches, get dressed, and pack the car by 7:18 a.m. Saying goodbye to them never feels like too much of a separation because I’m already thinking about work and they’re thinking about school and their friends. The day speeds by for all of us, and before we know it, I’m picking them up and we’re starting our equally busy evening routine. This morning as I waved goodbye to the departing school bus and walked back home, I thought about how much easier it is to be the one leaving, rather than the one being left behind. Even though my kids are noisy and messy and we’re often doing our own separate things, it feels right when we’re all in the house together. 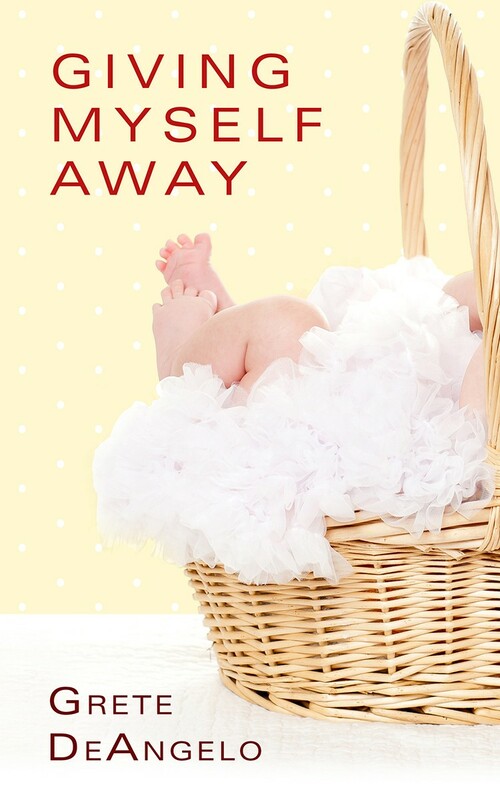 If you like to read about the choices moms make, please check out my novel, Giving Myself Away, available now in paperback and ebook.